A combination of prayer, activism and plain old “Guts”: We have got a ball, however small, rolling. We have Rolling Hills hosting the first night of this incoming storm. Discovery Evangelical Church has said they will host this Thursday and will continue to host the Thursday night Nomadic Shelter. Then we have the City of Placerville contemplating with a meeting on the subject of the homeless and freezing temperature nights. I want to give special thanks to Pastor Mike Harrell at Foothills UMC for getting a writing campaign going aimed at our community leaders. It included great commentary, e-mail addresses of County Supervisors and City Officials, phone numbers, meeting dates; all necessary for a forceful commentary regarding the humane care of our homeless population. Don Vanderkar, Schelly, Stacy, of the Nomadic Shelter, with the assistance of Christ Like Services’ Jeremy and his crew, and many others have given of their time and talents to help those in our community who have the very least. Special blessings go to Pastor Randy Wells, Discovery Hill Evangelical Free Church, for joining our efforts to provide for God’s children who are without. We now have: Foothills UMC hosting on Monday nights. Tuesday nights: still looking for a church to host. Friday nights are Green Valley C.C. Saturday nights are Cold Springs C.C. That very simple request: Can our governing bodies provide the same humane treatment that they provide for dogs, cats, and horses for our human citizens who are without warmth from the freezing cost and are out in the elements during this very rainy season? Melody Moore: The spearhead of the delegation to the City Council Meeting: Her presentation. A humanitarian crisis occurred last week when temperatures reached as low as 23 degrees. Neither the City of Placerville nor El Dorado County were able to respond to the crisis. 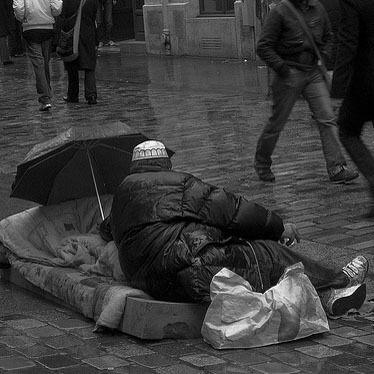 Scores of people with no shelter spent the freezing nights outside. If a humanitarian crisis affecting a broader cross section of the population were to occur, I am sure the response would have been different and immediate. When disasters occur and shelters open, it is an ironic fact that the first to appear for shelter and the last to leave are the chronically homeless, they are not turned away. So you see, we are able to provide for everyone under some circumstances. I respectfully request the city council create a disaster preparedness plan that includes providing for homeless people during weather-related emergencies. Places to provide warmth when the wind chill temperature is forecast to reach 32 degrees, and cooling stations when the temperature exceeds 100 degrees are needed. We, of the Faith Community, want to cooperate with the city. We can help by staffing emergency shelters with seasoned volunteers, and we can provide supplies. Noteworthy is that all the people I spoke to were long time, or life-time residents of the area. These folks are not transients. They are our mothers, fathers, sisters, brothers, and our children. We must take care of them.